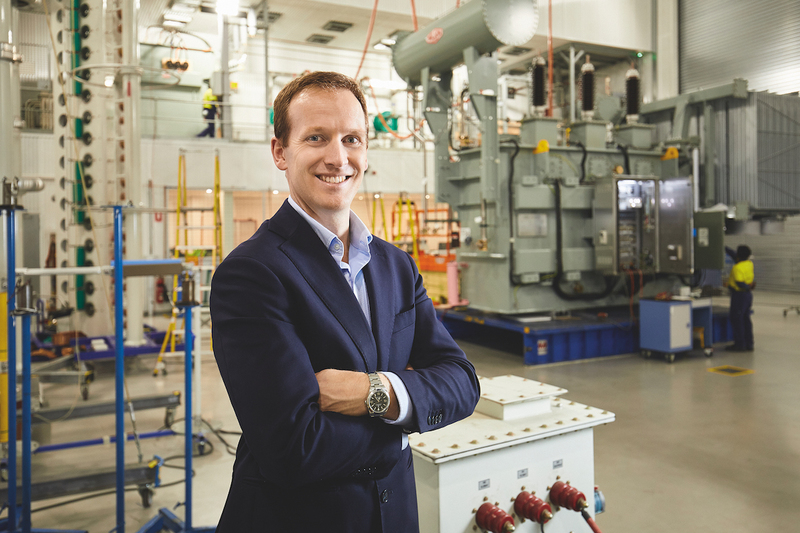 Ed Wilson, Managing Director of Wilson Transformer Company, discusses the firm’s triumphs and trials over its 85-year history. Wilson Transformer Company (WTC) specialises in the manufacture, installation and maintenance of transformers – critical components used in energy generation, transmission and distribution. The family business was founded by Jack Wilson in a tiny garage in South Melbourne and, this year, it is celebrating 85 years of operation. 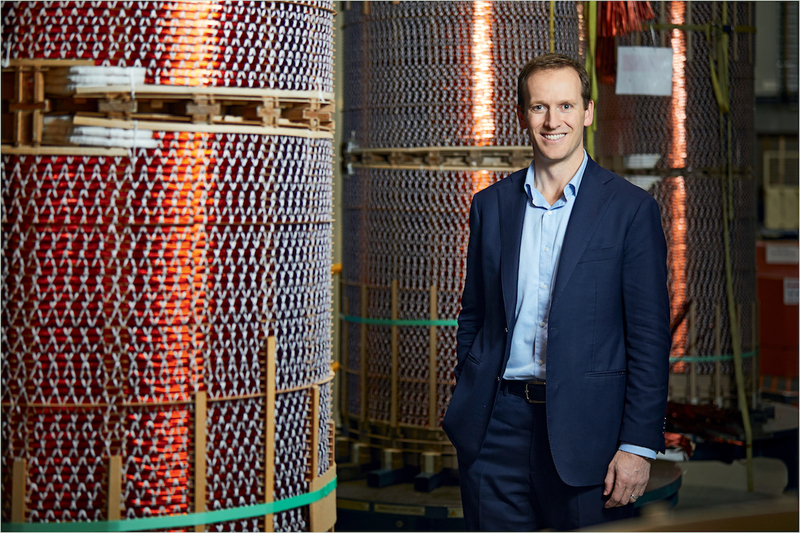 Managing Director Ed Wilson is a third-generation member of the business and believes people these days are more aware of how energy is produced. “Going back 10 years, nobody turned on a light switch and wondered how it all occurred,” he tells The CEO Magazine. At the centre of energy generation, transmission and distribution are transformers; systems that transfer electricity from one circuit to another and can increase or decrease the electrical voltage depending on its application. “Transformers are critical assets that touch every human every day,” Ed adds. Ed joined WTC in 2002 straight after university, despite his mother’s wishes for him to work elsewhere first. “I grew into it naturally,” he recalls. “At school, I was always maths and science-oriented so engineering was a logical choice. When I was in university, I did some work in our factories in Glen Waverley and Wodonga – I really enjoyed the work. While headquartered in Australia with manufacturing facilities in Victoria, WTC has sales and support offices in New Zealand, Singapore and the UK. Its distribution transformers are primarily for the local market while its power transformers are also shipped around the world. Additional products and services are offered through WTC’s subsidiaries and joint ventures in the US, Malaysia, the Philippines, Saudi Arabia and Israel. Some of WTC’s notable contracts over the years include the supply of power transformers for the 2000 Sydney and 2012 London Olympics; the delivery of seven transformers to the largest hydroelectric station in New Zealand, Manapouri Power Station; the supply of transformers to Energy Queensland; and the development of padmount substations for local data centres in Australia (which contain a transformer and medium and low voltage protection and monitoring equipment). Over its 85-year history, several changes have taken place within WTC that have seen the company continuously evolve for the better. More recently, WTC has rolled out its refreshed core values and strategy to all employees. Ed says the company has focused a lot more on ensuring its employees are aligned with the vision and values of the business, which has never fundamentally changed since Jack Wilson started the business. Before 2015, the online presence of WTC was not reflective of the company and its various operations. In 2015, the company hired a branding specialist to assist with its marketing material, ultimately improving first impressions when chasing new markets and opportunities. By working closely together, WTC’s value proposition of ‘Built Smart for Life’ was born. Each aspect of the phrase was carefully chosen to reflect how WTC’s products are produced. “The branding project has opened up opportunities in new markets as our prospective customers suddenly get a greater understanding of what we’re about,” he says. One of the most significant shifts that has occurred in the energy sector in recent years is the push for more renewable energy sources, something Ed says the company is very involved in. In 2016, WTC worked closely with Goldwind Australia for the construction of the A$400 million White Rock Wind Farm near Glen Innes in New South Wales. WTC manufactured and supplied transformers for the project which, when complete, is expected to power 75,000 houses annually. One of the companies that entered into a partnership with WTC is a world-leading solar inverter manufacturer headquartered in Germany, the SMA Group. 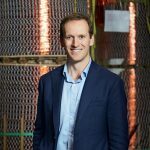 The businesses worked together to develop a range of innovative solar power skids exclusively for the large-scale Australian solar market, which could be deployed in other parts of the world. To further support the energy and power industry, WTC is a member of two not-for-profit organisations, The Australian Power Institute (API) and CIGRE Australia. API’s purpose is “to supply a sustainable level of innovative and agile industry professionals with contemporary skills to transform and sustain Australia’s energy future”. As part of WTC’s involvement with API, it provides work opportunities for four engineering students during the summer holidays each year. Similarly, CIGRE Australia supports the electrical industry, serving as a global forum for engineers and specialists to exchange knowledge and information about power systems. Ed is a director of both these organisations and further supports them by hosting several industry and university technical visits, and learning initiatives at WTC’s manufacturing facilities. While WTC’s transformers are reliable and of high quality, there is one more thing that gives the company a competitive edge. Ed Wilson believes one of the most critical attributes a leader can possess is an ability to lead by example. “You can’t have one set of rules for your employees and a different one for yourself,” he says. 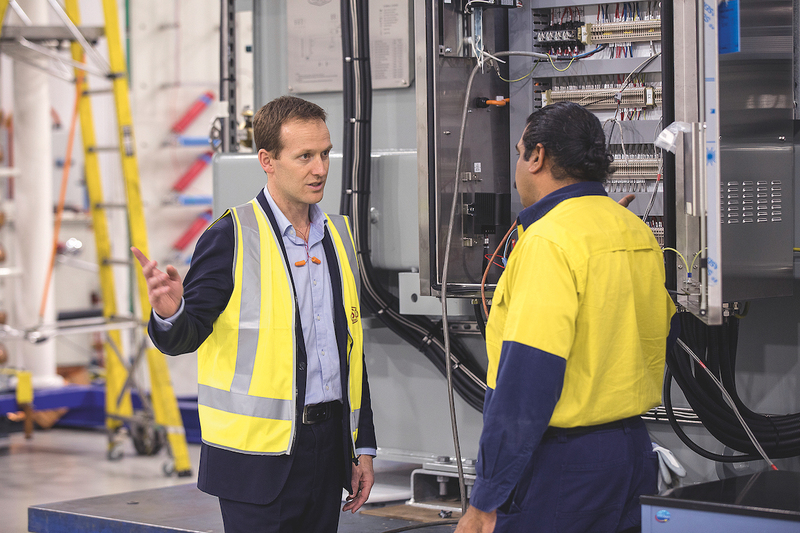 While the company maintains its commitment to serving its Australian customers, it is also focused on extending its presence in other regions around the world. The expansion of the annual TechCon conference is one example of this – hosted by WTC and TJ|H2b in Australia for the past 19 years, it has now been extended to South-East Asia for the past two years with very positive feedback. The conference has the specific focus of ‘Life management of high voltage and medium voltage power equipment’ and is now run across the globe in North America, Europe, Australia and South-East Asia. The company is also looking to expand in other sectors. “Renewables are going to be a major focus for the next few years,” Ed says. “We are in the final stages of another expansion in our Wodonga facilities where we’re investing A$10 million, primarily for the large-scale solar projects with open skid solutions.” This investment will also allow for other products to be engineered and manufactured, which were not previously in WTC’s focus area. The company aims to expand its services capacity and capability. “My brother took on the Service Manager role in the past few years,” Ed continues. 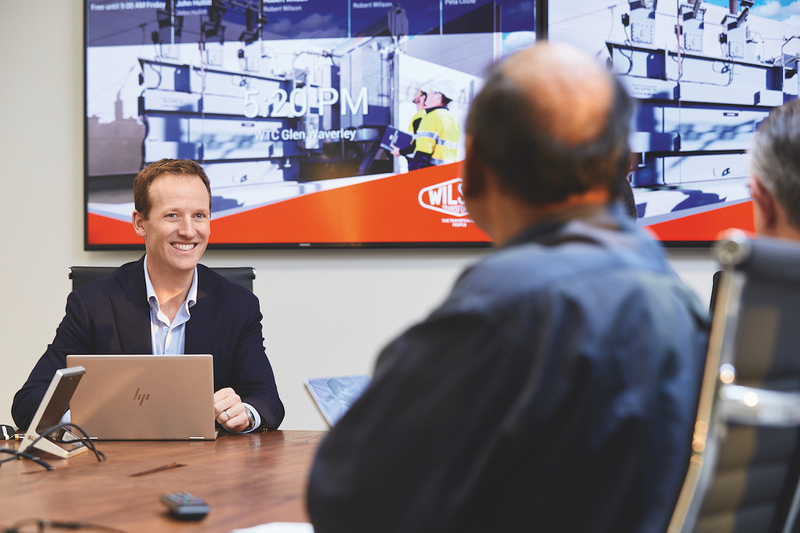 “And he is continuing to mark his presence in the business and improving our field service and support to customers.” With 85 years under its belt, WTC is well positioned to continue its legacy in Australia’s energy market. While the company is still planning its official anniversary celebration, it’s looking forward to the release of its 85th anniversary commemorative book in early 2019.